The motion-activated spray safely and automatically keeps pets away from rooms, furniture, and areas in your home. Turn on the spray and wait a few seconds for the motion sensor to stabilize itself. Set it on the counter to keep your cat from jumping up, or place it in the doorway to the living room to keep your dog out of the room and off the couch. It's easy to train your dog or cat to stay out of certain areas. 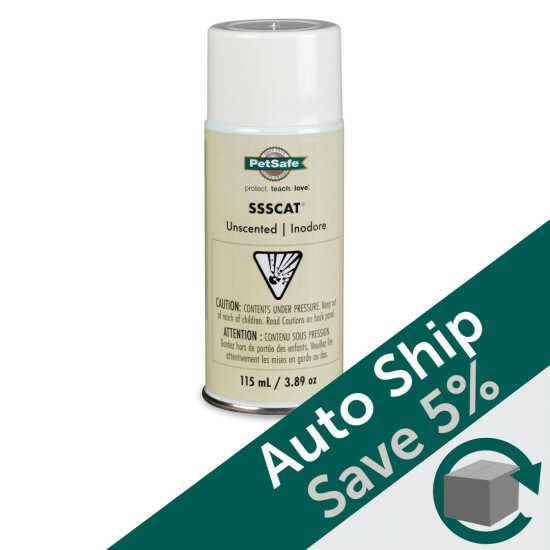 When your pet comes near the SSSCAT® unit, he'll feel a quick burst of harmless but startling spray. The spray reminds your pet to stay away. Using infrared, the adjustable spray nozzle can detect changes in temperature and deter pets from up to 3 feet away. 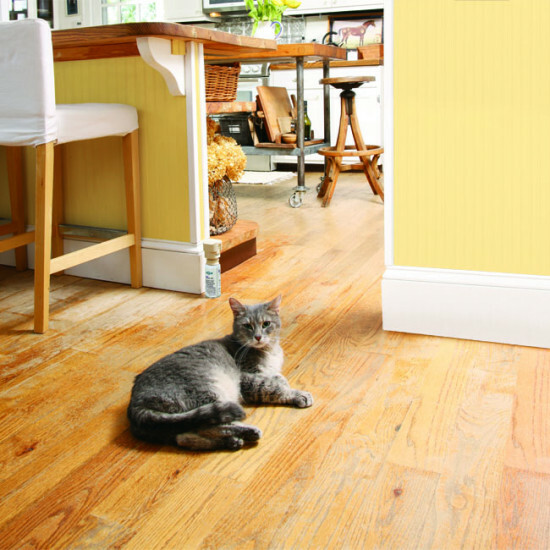 Add multiple SSSCAT® Pet Deterrents to create multiple pet-free zones in your home. For indoor use only. To refill the unit, make sure the unit is turned off. Hold the refill spray can upright and firmly press the nozzle down into the refill port. Hold for 15 seconds or until unit is full, then remove the can. If spray leaks out, you may need to press harder to complete the seal.